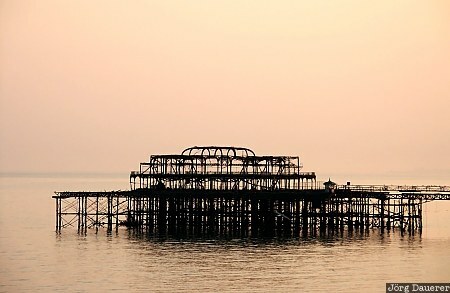 The ruins of the West Pier of Brighton, Sussex in the south of England, United Kingdom in late evening light. This photo was taken in the evening of a sunny day in June of 2003. This photo was taken with a digital camera.